When a New Jersey driver is stopped by a police officer on suspicion of driving while intoxicated (DWI), there are certain things that the officer will do. First, he or she will ask the driver to see the pertinent information and documentation such as the driver’s license. While the officer is requesting this information, an assessment of the driver’s movements will be made. If there is evidence of DWI such as bloodshot eyes, the smell of alcohol or slurred speech, this will give the officer reason to investigate further. Part of that investigation will include field sobriety tests. The National Highway Transportation Safety Administration (NHTSA) has approved of three field sobriety tests for use in determining whether or not a person might be under the influence. They are the Horizontal Gaze Nystagmus test, the Walk and Turn test and the One Leg Stand test. The Horizontal Gaze Nystagmus test involves the officer using an object like a pen or a flashlight and holding it in front of the subject’s eyes. It will then be moved to the left and right as the suspect is asked to simply move his or her eyes to follow it without turning the head. If there is an excess of involuntary jerking in the eyeball, this can be a sign of intoxication. With the Walk and Turn test, the driver will be asked to stand straight with arms at the sides. He or she will walk nine steps in a straight line with one foot in front of the other and try to maintain balance. If balance is lost, this could be a sign of being intoxicated. For the One Leg Stand test, the subject will stand with hands at the sides and be asked to lift one leg six inches off the ground with the toes pointed forward while counting out loud. If any balance is lost, it could be seen as being due to intoxication. Once these tests have been completed and the officer still has reason to believe that the driver was committing a DWI, a breathalyzer test will be requested and perhaps blood and urine tests as well. Two of the three tests involve a significant amount of balancing. With the One Leg Stand test, the officer is required to not have the person perform the test for more than 30 seconds. If that time is surpassed, the likelihood of even the most coordinated person losing balance due to becoming tired or simply being unable to hold the position increases. With any of these kinds of tests, the person’s physicality can come into play and be a factor is the perception that the test was “failed” when the failure was not due to alcohol, but for other reasons. If it is an overweight person who doesn’t exercise much, it can be difficult to maintain the posture necessary to complete these tests in a satisfactory manner. If the person has a disability, that too can be key to the view that they failed the test when it might simply have been a matter of the test not being conducive to a person with their issues completing it successfully. The area in which the test is conducted can have an influence on the completion of the tests. If the traffic stop is made on the side of a road that is strewn with rocks, has various holes and is uneven, the subject might simply have taken a wrong step and lost his or her balance making it appear as if there was intoxication when it wasn’t there. It can’t be discounted that the officer is trying to make the arrest and might not care that the driver wasn’t given the test fairly. 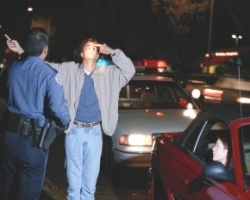 Whether there is a belief that the driver is committing a DWI and the subsequent breath, blood and urine tests verify it, if the field sobriety tests were not conducted in a reasonable manner, the charges could be contested. It may not seem to be that important to have the field sobriety tests conducted fairly and in the proper context, but since they’re a precursor to the chemical tests and continue investigation, they’re important. A driver who registers a 0.08% blood alcohol content (BAC) or above will be arrested for DWI and face the penalties that will accompany a conviction. Those penalties include fines, a driver’s license suspension and other punishments that can be extremely costly. If the driver was tested for BAC via breathalyzer based on a failed field sobriety test and the field sobriety tests were not conducted in a manner that was fair to the driver, that can be important to the defense.